Before anything else ... HAPPY NEW YEAR to everyone! 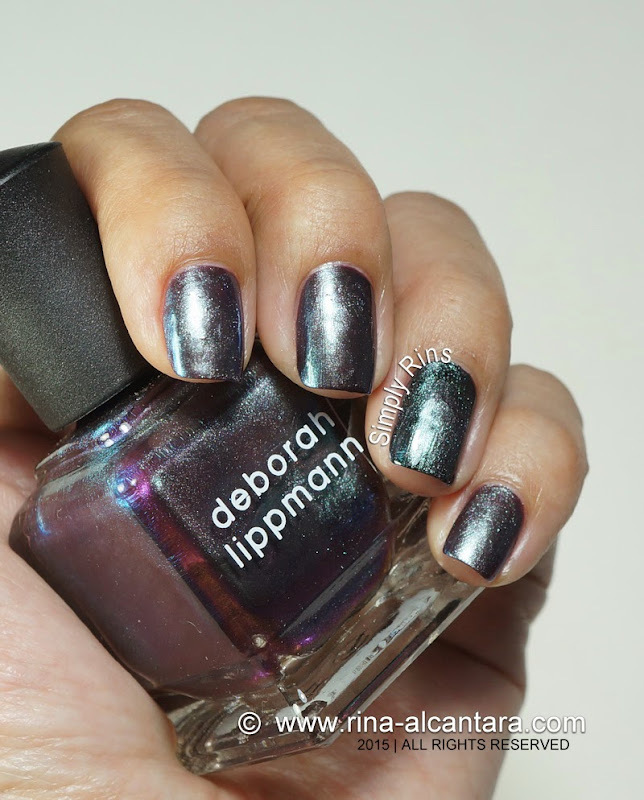 I'll be starting the new year with a swatch and review post of Deborah Lippmann Fantastical Collection 2014. I wanted to publish this before the end of 2014, but I wasn't able to. But if you can remember, I used the collection for a nail art feature which I actually wore during my short vacation. I called it Fantastical New Year 2015. There are 6 shades in this 2014 Holiday collection and most of them are really sheer. Some are fantastic for layering! Are you ready? Let's begin with Dream Weaver (below). Described as mesmerizing mood stone, this polish is very sheer and has a thin consistency. I used 3 coats for complete coverage. The beauty of the Dream Weaver perhaps comes from the fact that the color changes (so to speak) when viewed from different angles. One downside is the visible brush strokes upon application. Light strokes can minimize this. I would recommend layering it over black polish to easily achieve opacity. Next is Dear Mr. Fantastic, (below) mystic marvelous magenta in 2 coats. I am still not a fan of pinks but this pretty shade will surely be fancied by many. It definitely boasts of confidence. Formula is great and application is very manageable. Now take a look at what happens when you layer Dear Mr. Fantastic over black (below). I used 2 coats of Deborah Lippmann Edge of Glory and 1 coat of Dear Mr. Fantastic. There is a drastic color change from magenta to purple. Amazing, right?! It's like having 2 shades in one bottle! Let's move on to Marrakesh Express (below), spiced sienna splurge. I used 2 generous coats for complete coverage. Application is not so fun because the chunky glitters was difficult to transfer to the nails and consistency was on the thick side. As a result, the manicure appeared "chunky" as well. Below is Xanadu. 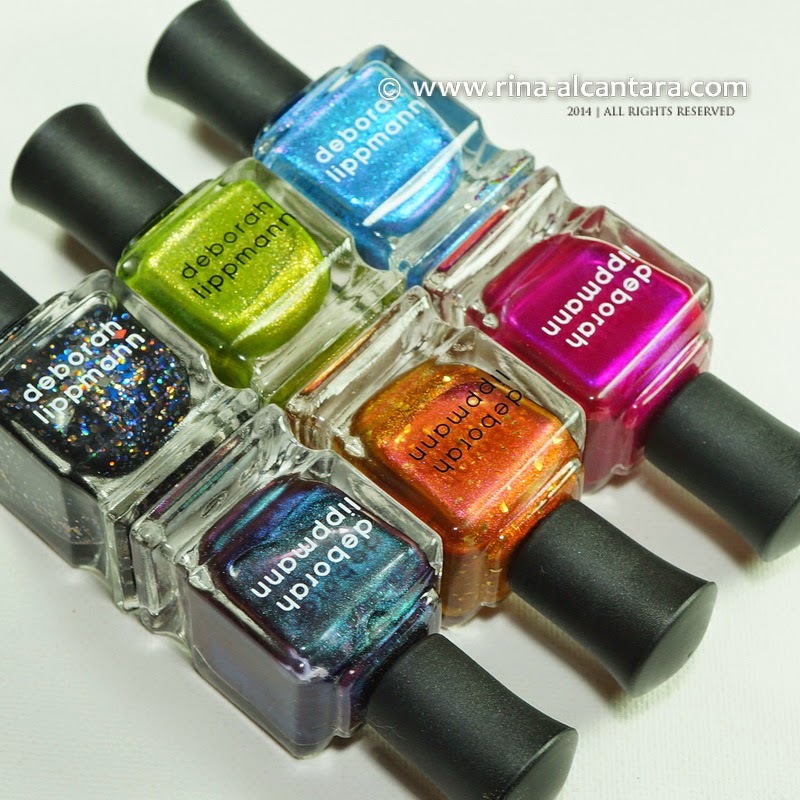 Described as celestial cerulean curiosity, is a highly sheer polish infused with tiny dark blue glitters. I did 3 coats for coverage. Was tempted to add another layer for full coverage. Application is easy and consistency is good. For layering, I would suggest a true blue base or black as base. 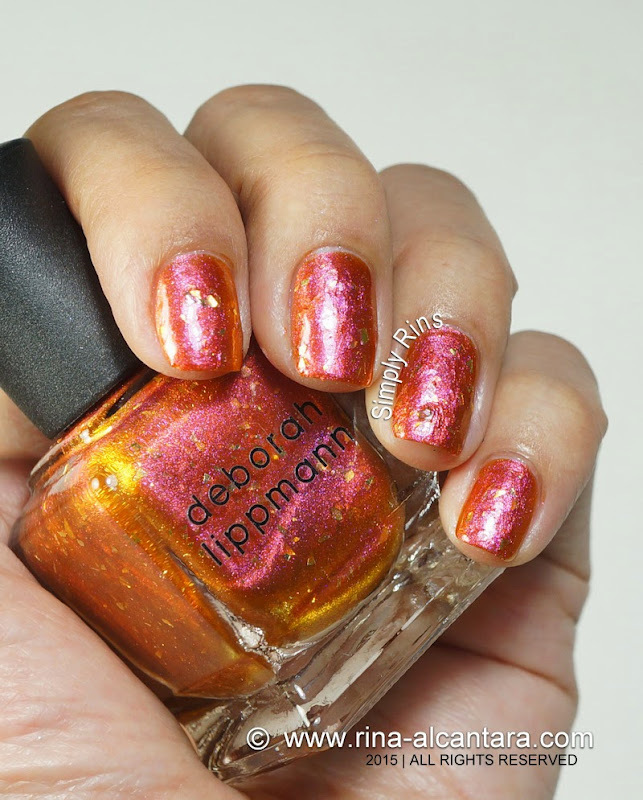 This is not my cup of tea, but this polish is great for sponging and layering. 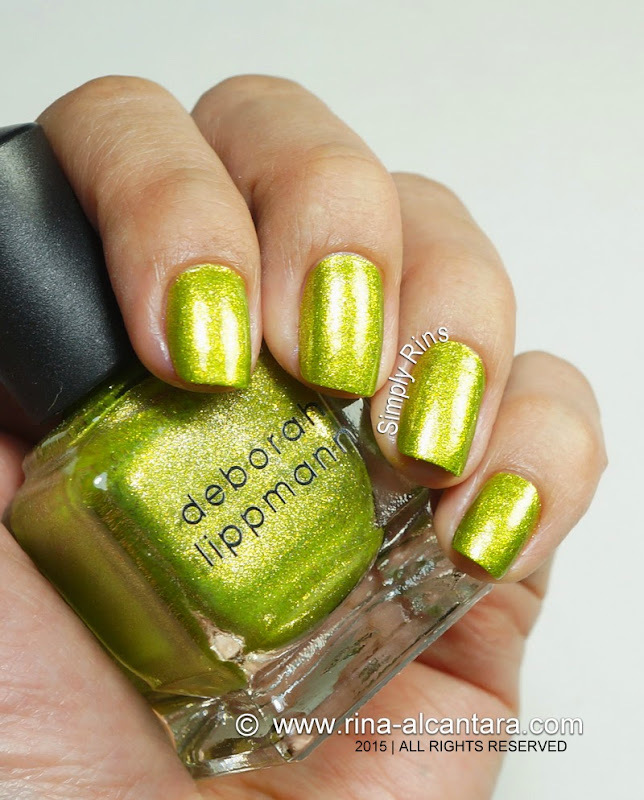 This next one is my absolute favorite from the collection -- Weird Science (below), charming chartreuse chemistry. I did 2 coats for 100% opacity. No problem at all with the formula and application. If you know me, I am also not fond of greens. But this one I really like! It turned me on! Finally, we have Magic Carpet Ride (below), eccentric ebony explosion. I am a sucker for black polishes and this one included. 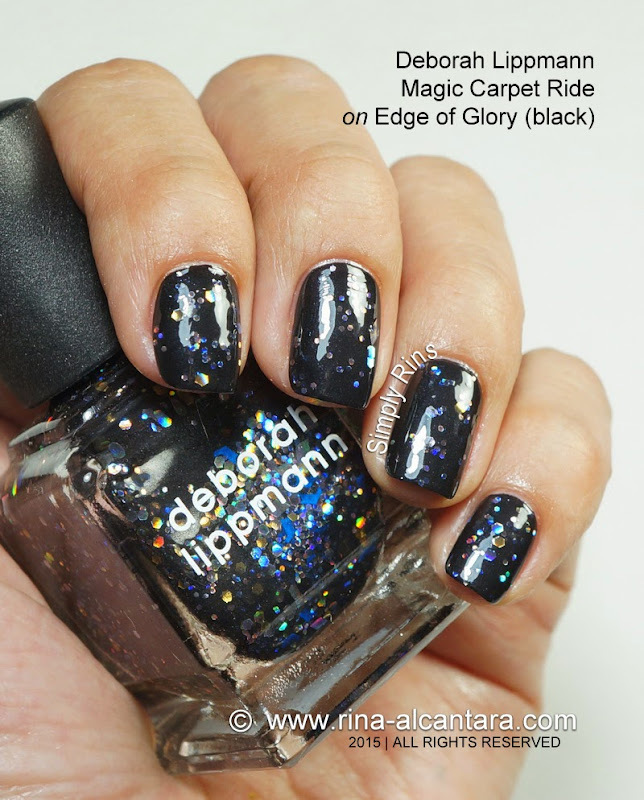 This nail lacquer has a grayish sheer base with chunky glitters. So I decided to layer it over 2 coats of black (Deborah Lippmann Edge of Glory) and it looks gorgeous in my opinion. Disclosure: Items were sent for impartial review. 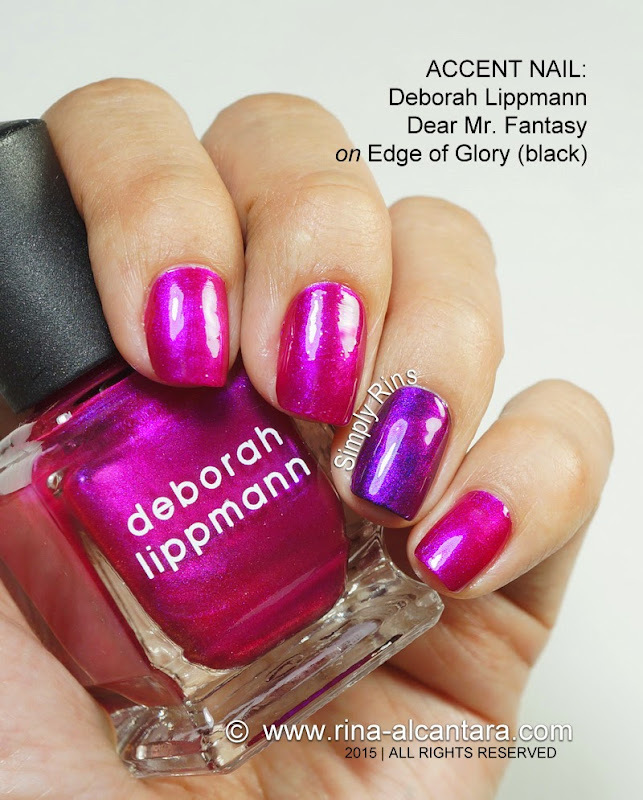 Deborah Lippmann nail lacquers is available here in the Philippines at Rustan's Beauty Store and retails for Php795-925 each. Thank you. Do you a favorite among the 6 shades?